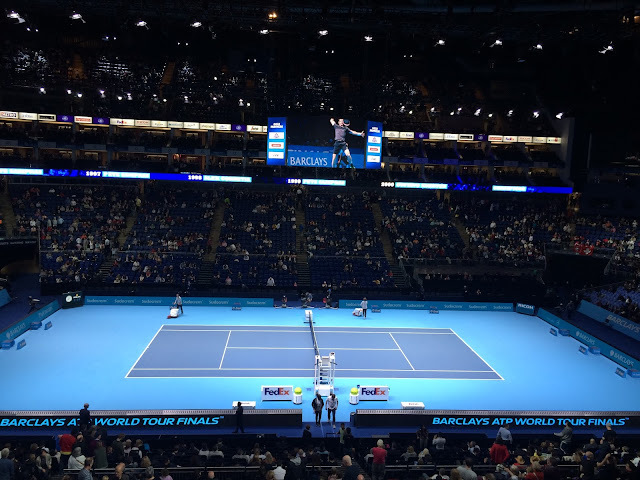 Those who read my post on my day at Wimbledon back in the summer of 2014 will know that I am something of a tennis nut, and that it's my life ambition to go to all four tennis Grand Slam tournaments. However, I've also been keen to go to the ATP World Tour Finals, the final tournament of the season where the top eight players compete, but have consistently failed to get tickets. Then an email popped up from a work colleague to go along to Wednesday's evening session and I jumped at the chance! This was my first visit to the O2 and I was quite surprised by how small it was inside - there were only a few restaurants inside, plus a Starbucks and the merchandise stand. On the other hand, it was good prep to scope out the arena and surrounding restaurants ahead of going to Country 2 Country in the spring. I stopped off to buy a programme (I always like a programme at this sort of thing) and then headed off up the escalators to find my seat and the rest of my colleagues. 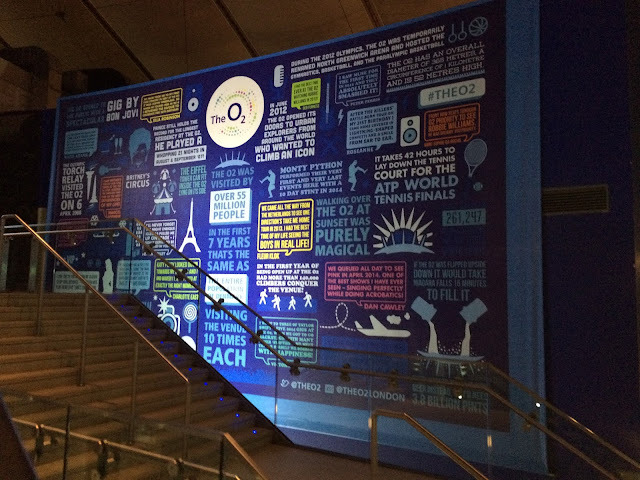 This was on the way up the escalators showing loads of different stats about the O2 and the tournament - how cool is that?! We were lucky enough to be in a suite as the tickets were with one of our member companies (I won't say who to protect their privacy), and it was every bit as amazing as it sounds. There was a lovely plush box to sit and watch the match, as well as sofas to relax on and a TV screen to follow the action. We could also order food - I didn't because it was quite expensive so had a sandwich before coming out - and there was a bar right outside for drinks. 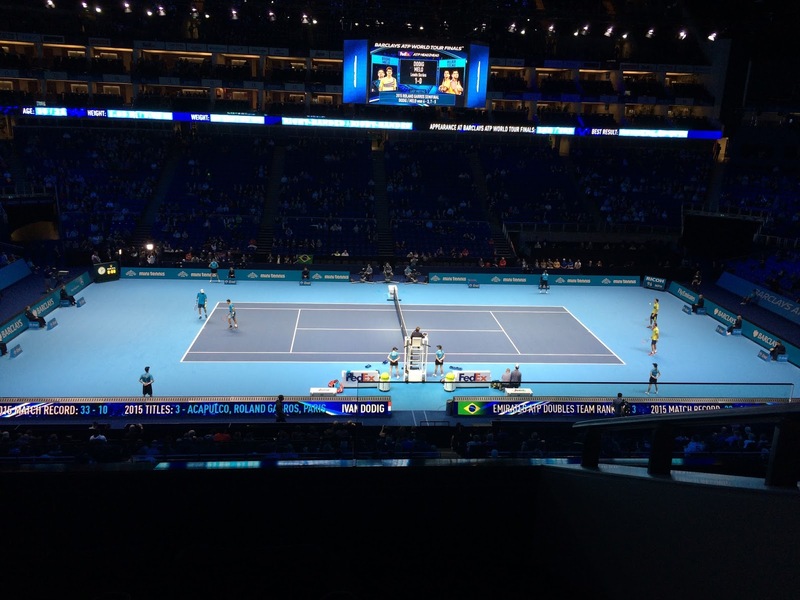 We saw David Ferrer and Stan Wawrinka; I was a bit disappointed to miss Andy Murray but it was a really exciting match. Ferrer led most of the first set and then suddenly it all turned, with Wawrinka hitting great shots - particularly his backhand - and ended up running away with it the whole thing. I think it was a combination of Ferrer's serve going and Wawrinka using the same tactic Nadal did with Murray of just running him ragged and then steamrollering him. We also saw some doubles beforehand which was really good too. Overall I really enjoyed my trip to the ATP World Tour Finals. 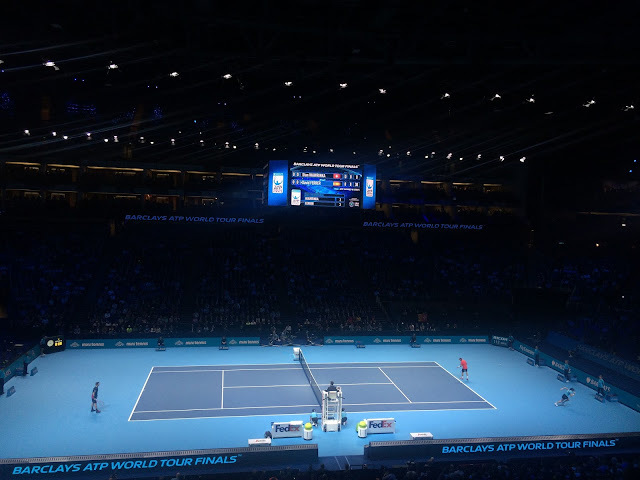 Compared to Wimbledon it is a lot more flash - think dry ice and light shows when the players come out, music between games and heartbeat clapping on challenges rather than speeding up - but it's a brilliant spectacle and a really good night out. 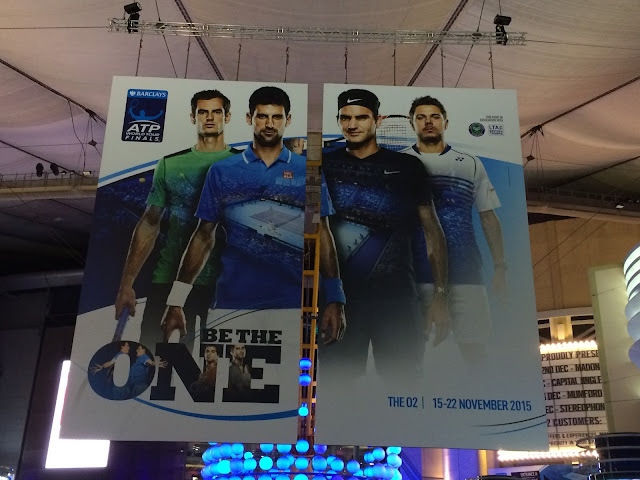 If you fancy going to the tournament there are still some tickets for tonight and this weekend available on the ATP website - otherwise keep an eye out for 2016 tickets soon! 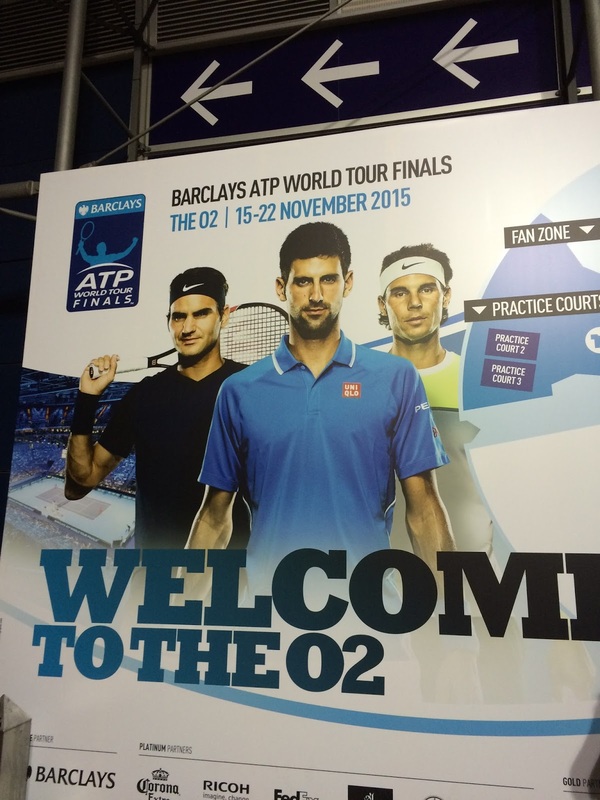 Have you been to the ATP World Tour Finals or another sports tournament? 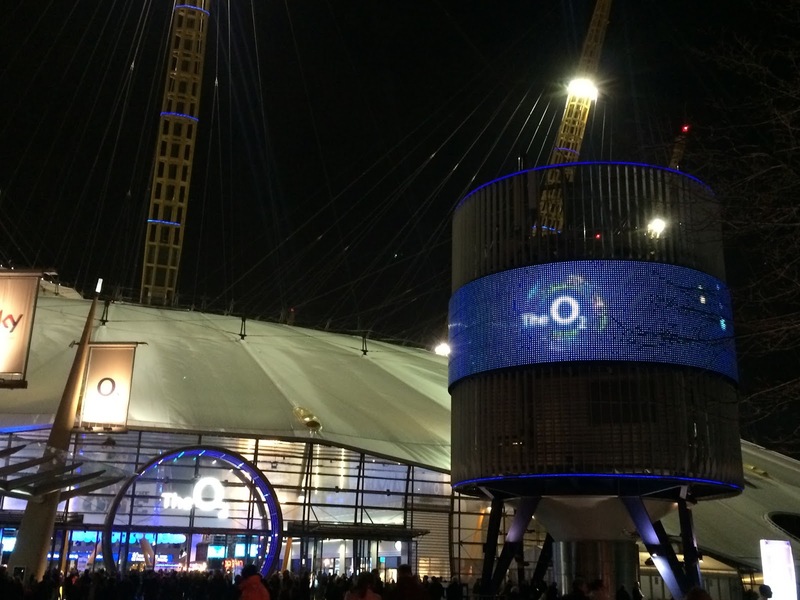 Is there one you'd particularly like to go to?